Dasher + Fisher are two wild rivers that run from the snowmelt mountains, through the rich hinterland, to the pristine coast of Tasmania’s north-west. From this pure water Dasher + Fisher copper pot distil botanicals sourced from the many growers who live there. Their award winning gins are based on the landscape and the ingredients that are found in the area: Mountain, Meadow and Ocean. All three include the ‘Tassie Trio’ of ingredients- native pepperberry, lavender and wakame. They are dialled up and down, and combined with various botanicals to create different layers of taste for each variant. 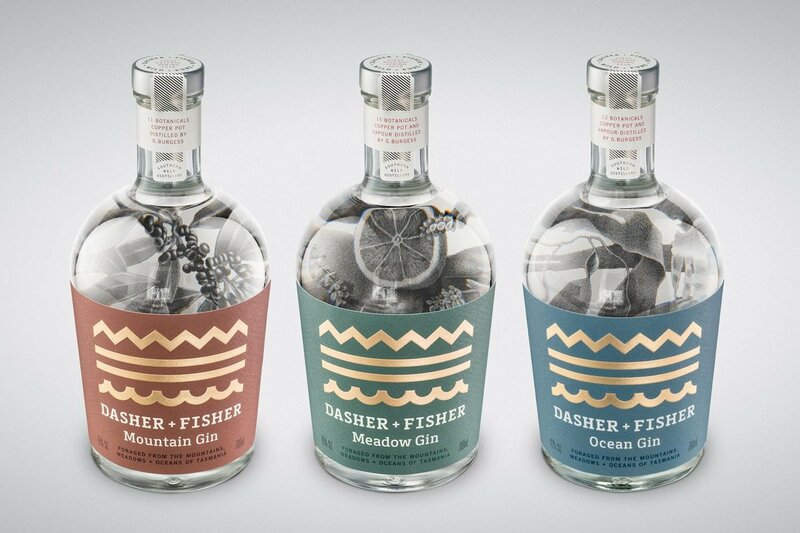 Dasher + Fisher gins are uniquely Tasmanian, wild+pure. Ocean Gin, orange and thyme, lemon topped with Capi soda.